Gov. 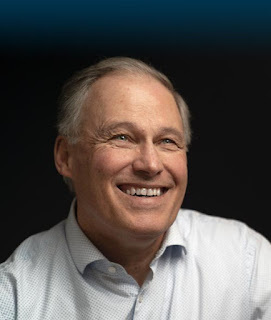 Jay Inslee, who is running for president on a single-issue platform of climate change, appeared on the Fox TV talk show Fox and Friends. On the show, which has a close relationship with the president, Gov. Inslee showed that he had released 12 years of tax returns, and challenged the president to do the same.